Bloom Time Mid summer to fall. Bloom Time: Mid summer to fall. 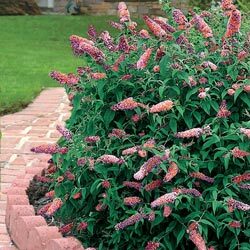 Flower Form: Long terminal panicles up to 10" long of a masse of tiny star-like flowers. Planting Instructions: Loosen the soil, dig a hole twice the diameter of the plant container. Growth Rate: Fast once established, which takes approximately 6-8 weeks. 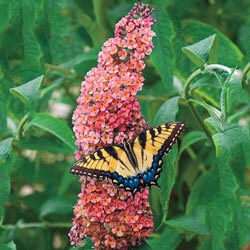 Pruning: Cut back all flowering stems close to the base (down to 12-15") in early spring. Early spring, as new growth begins.